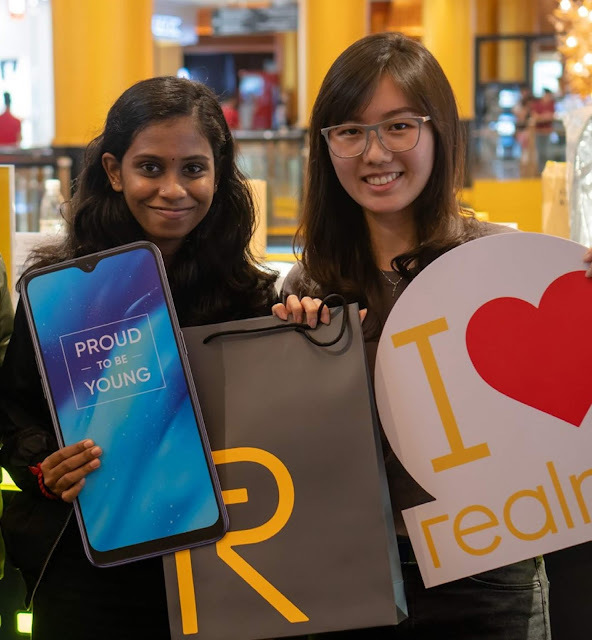 Realme 3 Roadshows in Sunway Pyramid Shopping Mall and Sunway Velocity Mall were colourful and exciting as we saw fans of all ages around Klang Valley visited the roadshows. 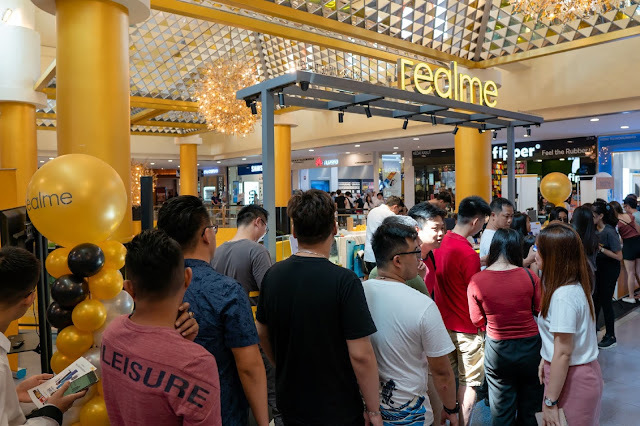 Passionate fans, first-timers and families spent their weekends to get their hands on the latest realme 3 smartphone and even participated in several fun activities throughout the day. “I was actually spending time with my family and friends in getting my computer done at Sunway Pyramid. While we were waiting for it to be ready, we visited the roadshow and decided to give it a try with the mini mobile game tournament. 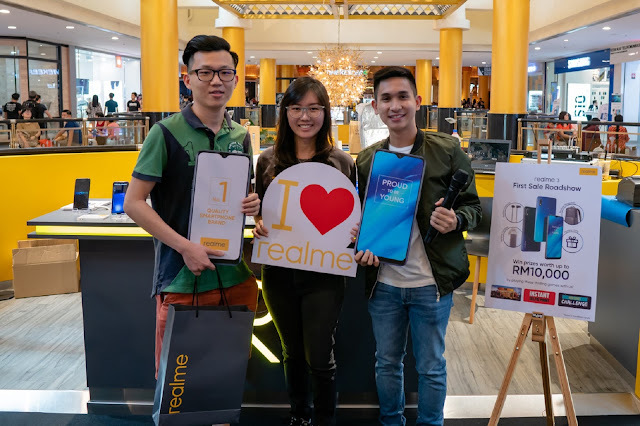 I’m really happy to be winning the game and we’re also happy that realme is offering such affordable smartphones for everyone,” said Lim Tiak Cheong, a 15-year-old boy won himself RM1,000 in cash after competing in the mini game tournament at the roadshow. “I’m really surprised that I won the realme 3 because all I did was signing up two hours ago and I won the lucky draw. I’m thinking to give it out to my friend as a present or maybe I’ll fall in love with it later when I try it out,” said Wee How, 28 years old from Johor who won a new unit of realme 3 through a lucky draw contest. Adding to the roadshow, visitors also participated in activities like PUBG challenge, Mobile Legends, Instant Selfie Print and mini games where they won assorted realme merchandise. To those who missed out on the realme 3 First Sale Roadshow, feel free to visit realme Image Stores at Sunway Pyramid or check out our list of retailers and distributors near you at https://myrealme.my/locate-us.